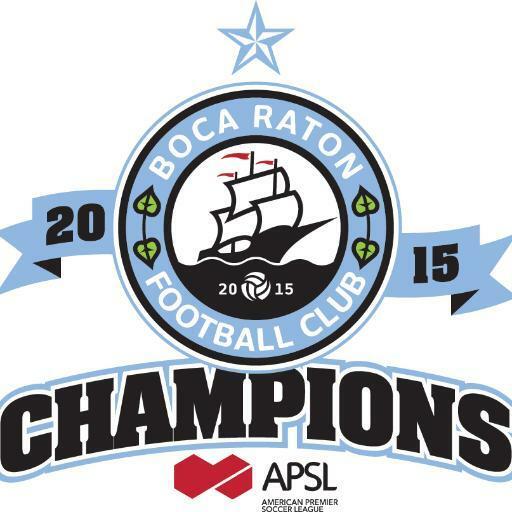 If you are soccer fan in Florida, chances are you haven’t heard of Boca Raton Football Club or even the American Premier Soccer League (APSL) but some great soccer is being played in the fourth division club out of Boca Raton, and for locals it might be wise to pay attention. But chances are you have heard of Scott Gordon, the Boca Raton born and bred defender who became a Lynn University standout and then played professionally for the hometown Fort Lauderdale Strikers starting on a team that went to the NASL Championship Series in 2011. Gordon also played in MLS for FC Dallas and Chivas USA. Although the team is only four months old, Boca Raton FC averaged almost 1,000 fans at their home stadium last season, which for fans of NASL or MLS teams, might seem like nothing, but for the fourth division it’s a very big deal. Boca Raton FC is already averaging greater attendance records than more established clubs in the higher division of USL like Toronto FC II and Montreal FC. Currently on a four-month unbeaten streak, the club strives to portray the look and feel of a professional club. From trainers, to a working website, as well as a strong presence on social media, this little club has been working hard to build a brand within in the community it inhabits as well as among the APSL. When attending a Boca Raton FC game at the Shipyard, you immediately feel like you are watching a professional team. There is a supporter’s section, PA announcer, working game clock, ball boys, halftime show, the whole nines. The club continues to grow, Coritiba of the Brazilian first division has already partnered with Boca Raton FC to develop players here in southern Florida and in Brazil. The APSL is a young league, in its first season as well. The league was formerly known as the Adult Premier League, but once that dissolved, Bert Mahecha created the APSL, where not only is he the owner of a team but also the commissioner. According to their bylaws, each team has one vote in league business, yet Mahecha has two, being the commissioner and a team owner. This is where you begin to see the conflicted business that is fourth division soccer in South Florida. This state is filled with “Sunday League” type teams that play every Sunday for fun and when a few of these teams come together, the decide to create a league where they all own everything and make it seem (to the outside at least) that they are a real “professionally run” league. Teams who barely have $40 to pay referees, play at soccer parks, and don’t have basic amenities like trainers, ball boys, or even a PA announcer. These teams simply are there to play ball and they don’t really care much about the rest, as long as they are playing soccer they are okay. But that’s difficult for an organization with the structure of Boca Raton FC. Things went from bad to worse for Boca Raton FC when they announced the signing of hometown hero Scott Gordon. Gordon, as we stated above has played for the Fort Lauderdale Strikers, FC Dallas, and Chivas USA, was playing for Red Force FC (of the APSL) for three years. When Boca Raton FC was announced back in April , Gordon wanted to jump from Red Force straight to Boca Raton FC, but the new club understood how the league transfer fees worked and decided against bringing in Gordon and to wait until his Florida State Soccer Association (FSSA) Player Card expired on August 31 to add the Lynn University graduate. The APSL has a very basic transfer policy, $50 per player that goes straight to the league, plus whatever the other team feels said player is worth. However, as amateurs, once their player pass expires at the end of August all players are free agents and are free to play wherever they want. When Red Force FC saw Gordon on Boca Raton FC’s website, owner Gabriel Vega emailed Boca Raton FC owner Douglas Heizer asking for a $500 player transfer fee. Not understanding why, Heizer asked Vega and was told that Gordon was worth that much to them and that they cannot let him leave the team for free. However, Vega did not realize what he, and the rest of the league for that matter, was doing was illegal in the eyes of FSSA. According to the FSSA handbook, all amateur players are free agents on August 31, no exceptions. By asking for money for a player that is no longer a member of their team, teams like Red Force, and other APSL clubs that were making a profit from free agent players were violating FSSA rules. When Boca Raton FC escalated the case up to FSSA President, Richard Moeller, they were told they were correct and that the club would not need to pay the $500 transfer fee. Calling an “urgent meeting of the Executive Board”, Mahecha got the board together on Friday afternoon to “discuss” the Case of Scott Gordon. Three minutes into the meeting the verdict was out. Boca Raton FC later received a letter confirming that Gordon would indeed be playing for Boca Raton FC this season, however the player had been suspended three games for “actions of unbecoming of a premier player”. According to my sources within the club, Gordon was suspended for “lying,” or at least that’s what Red Force owner Gabriel Vega, who is also a member of the APSL Executive Board, said regarding Gordon per Boca Raton FC sources. Vega said Gordon lied when he told Boca Raton FC that he was indeed released when in reality he was not, because aren’t all players previously registered to APSL clubs free after August 31? Being a small league, owners take on other positions that are unfit for someone that owns a team – we see this often in the amateur ranks in American soccer. How can the owner of Red Force not suspend Gordon? He feels betrayed, and he wants to lash out but can’t, and so a suspension for “actions of unbecoming of a premier player” is just a nicer way of saying “I’m upset he left”.Instead a process that eliminates conflicts of interest should be put in place, but in this case nobody did such a thing. Before Boca Raton FC took the case up to the FSSA, Heizer agreed to pay Vega $150 in order to put this to bed and have Gordon play. Vega agreed under one condition: Gordon himself would personally go to his offices and give him and handwritten personal check. Sounds like he was a little upset, does it not? It should be added, in no league in the world does a player get suspended for lying, but to suspend a player unattached to a team for lying is a new low, even for a fourth division league like the APSL. This sounds like something that the international players union FIFPro might find fascinating if they were alerted to it. Boca Raton FC supporters group, The Rat Pack, began a “Free Scott Gordon” campaign in order to have their hometown hero play and it has gotten the attention of the Local dignitaries, media, and myself. We will keep folks posted on this story.